Begin or advance your finance career with flexible, 100% online AAT courses. Plus, you can spread the cost with our interest-free payment plans from just £57/month. 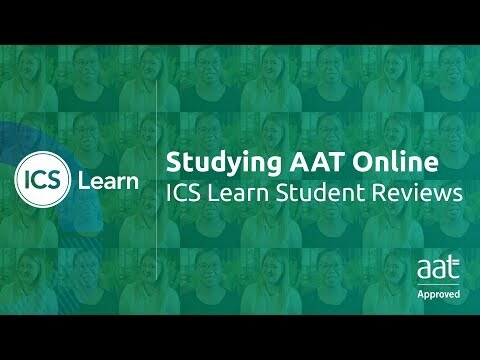 Why study AAT with us? Everyone has a different combination of skills, experience, education and ambition, so the best way to decide on the right course for you is to give our specialist AAT course advisors a call. Don't worry, there won't be any pressure - we're just here to help you make the right choice. **Data from a survey of 32 AAT students who graduated between March 2015 and November 2017. Need advice or looking for more information? Contact our expert AAT advisors by email, webchat, or by phone on 0800 015 4350. We're happy to help!